“Look both ways before you cross the street”. “Don’t talk to strangers”. “Put on a hat before you go outside, it’s cold!” The list goes on and on. As we become adults, this list changes a bit, but it never disappears. It simply changes to match our current lifestyles and new daily requirements. There is always a reason to take precautions as the need for safety is ever-present. This is especially true when dealing with one’s own health. We all need to make sure that what we eat and drink is safe. If are taking medication, it’s important to be wary of potential side effects. And, if you’re going to go through with a medical procedure, make sure that only a top professional is handling the job. 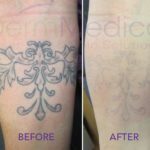 Because some people have not been as diligent as they should have been when it comes to that last point, certain cosmetic treatments like BOTOX have received a bad name. It should go without saying that only a licensed and experienced physician should administer BOTOX injections of any kind. But, alas, that hasn’t always been the case. As a result, some myths have been developed about BOTOX over time. On EmpireMedicalTraining.com, many of these myths are exposed and then are countered with facts. I’d like to take a look at a few of those myths this week, in an effort to give BOTOX its just due. The first myth, pointed out by the website, is actually one that I have already alluded to. And that is that BOTOX can be administered by anyone in an aesthetic setting. The fact, however, is that only experienced aesthetic-specialty physicians such as plastic surgeons, dermatologists and general practitioners with a specialty in aesthetics are appropriate candidates for the job. This point cannot be stressed enough! The second myth is that BOTOX is not for medical use. Meanwhile, the fact is that BOTOX actually has several FDA approved medical uses. 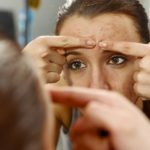 As EmpireMedicalTraining.com points out, BOTOX has been known to aid migraine headaches, back and neck pain, cerebral palsy, tic disorder, muscle spasms, hand tremors, eyelid spasms, crossed eyes, vocal cord disorders and even severe underarm perspiration. The myths don’t end there, however. 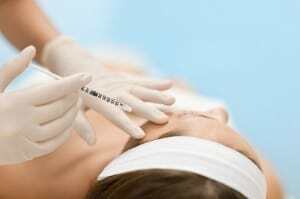 We’ll continue taking a look at a few more myths about BOTOX in Kelowna in our next article.